Outbound calling can be a tough job. You need to have the ability to listen to the person at the other end, communicate to them what you need them to know, and handle their concerns and issues with professionalism. However, outbound callers also need to be strong sales people, with the ability to deal with knock backs and irate customers who object to being cold called. 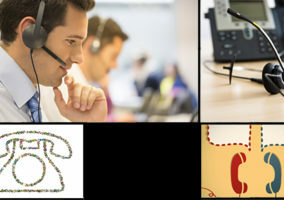 Stella Jones highlights some of the ways to develop the skills needed for outbound calling. Callers need to plan their call and have a clear call route to follow. If they know the introduction they are going to use and how to make the reason for their call compelling to the customer, they will have more confidence making the call. It is important to get their personality across and make their call stand out from all the other calls that person has received that day. A good way is to pretend you are having a face-to-face meeting and talk to customers in that friendly relaxed way. When working on a campaign we ensure that the team have practised their opening lines and key messages thoroughly, so they are relaxed and professional. We train our team to know that they will get knock backs, but they will be surprised at the number of people that they are able to turn around. If a prospect says they are not interested, our team ensure they don’t ask why, as this reinforces the objection. Repeating the objection has the same results. Instead they ask polite questions to determine why the client said no, to see what they can do to address their concerns. It is important that your team are trained not to fall at the first hurdle and this often just comes with practice, practice, practice. However, if the person is clearly not interested, the caller also needs to learn to recognise this, deal with the rejection and try not to take things too personally when people say no. Often it can take several attempts to convince the prospect you are worth seeing. A good way to respond when handling appointment objections is to use the objection as a reason for a sales meeting. We recommend the FEEL, FELT, FOUND technique. In the training our callers practise acknowledging the prospect’s objection: “I understand how you feel. Many customers we have today felt that same way. However, after they looked ____ they found ____ to be the case”, and then are shown how to communicate that at the appointment the person will have time to assess their needs and address these concerns, before setting the appointment. 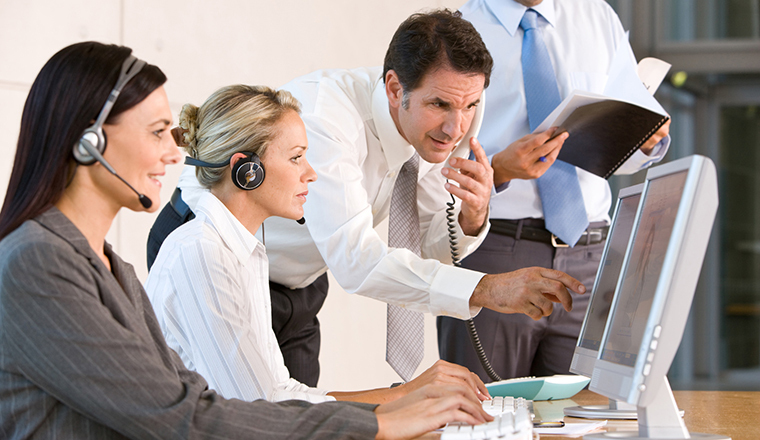 When dealing with irate customers, our callers are trained to talk slowly and calmly. Whilst acknowledging what the customer is saying but speaking slowly themselves, agents will often be able to slow down the customer’s speech. By listening and making notes, agents can learn to ensure they cover the points the customer is irate about and then turn it round, with positives. It doesn’t always work, but many people have been turned around in this way before and often if you can turn these people around they are often the customers that will re-sign and stay. One of the most important areas of outbound training is sales training – simply put, learning to sell the benefits of the product or service, not its features. In training, the focus should be on discovering an offer that the prospect would find it difficult to say no to and then trying to close the call. It is important to be assertive when closing and ensure that you clarify at the end of the call the appointment time and date before thanking them for their time. In training we will often slip in questions that we know that the agent does not know the answer to. It is important that under pressure the agent learns not to blag it, and instead to say that they will find out and get back to the customer – or say that they are not the expert and will either come back with the answer or have the appropriate person call back. It is better to be honest with customers and manage their expectations, than over-promise something you are not sure about and cause larger problems. Taking the baggage of the previous call with you if it didn’t go well, is likely to make this call go the same way, so make sure it is a fresh start every time. This next call could be your next big customer! Stella Jones is the founder of B2B Contact Marketing, a multilingual direct marketing company based in North Wales. Through telemarketing, email, SMS and social media campaigns the company drives existing sales, and helps clients to gain new business. She has been featured in the Daily Post, Daily Express and Management Today and was awarded a Rising Star Award 2009 from Wales Business Insider magazine. This is a very wonderful write up. 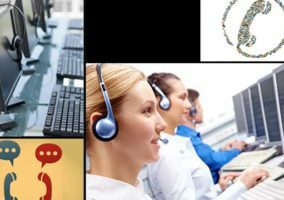 It actually addresses the ways telemarketing agents can actually improve on the quality of their calls which will in turn result in sales improvement. These are million dollars sales ideas which if heeded could wrought marvelous improvement in the telesales business. point number 6 it’s a very good point becuase a lot help desk agents end up making lot of promises they can’t deliver may be they shy out to be honest to the customer that they do not know something becuase the customer always expect unswers from them and that gives them a lot of presure to give that impresion as agent they are on top of the game. One of the best short articles I have read on the subject. It has now been circulated to all our telesales staff. Thanks also to the other side of the story from Martin Blain. thanks for those tips stella jones, the best part of the tips is the point 6, where CSR promise to get back to the customer and they dont, so these tips will go a long way to ensure that CSR on outbound get back to the customers and also resolve their issues. a very interesting read – especially the tips on irate customers, people dont realise how important it is to calm the situation and not simply rise to their level..you can rescue the situation! hi , im a call center manager for funeral policies and the common objection is i already have too many policies – what do we say to these clients ? Hi Everyone ,I am a salesman working in Las Vegas since last two months.Talking about the experience I’ve made so far working as a salesman is a quite challenging but I found it equally interesting.You need to have some qualities to be a good salesman.I have tried to point out some of them here-under. 1.Opening the call with smiling face. 2.Thorough knowledge of the product you are selling to the clients. 4.Remaining student helps you to learn new things,don’t think that you are perfect. 5.Love your work and try to make the each day different. 6.If they laugh at you they will buy with you so try to build up a good relationship with the customers. 7.Fake the victory,think like you are the king of the world. I definitely think that this should be well thought out and done in a smart way, it is important to get out there and market your business. This is a great information and examples, thanks for sharing!